We have used the ROSAT Bright Source Catalogue to extract a completesample of sources selected in the band from 0.1-0.4keV. This0.25keV-selected sample is composed of 54 Seyfert galaxies, 25 BLLacertae objects, 4 clusters and 27 Galactic stars or binaries.Seyfert-type galaxies with `ultrasoft' X-ray spectra can very often beclassed optically as narrow-line Seyfert 1s (NLS1s). Such objects arereadily detected in 0.25keV surveys; the sample reported here contains20 NLS1s, corresponding to a 40 per cent fraction of the Seyferts.Optical spectra of the Seyfert galaxies were gathered for correlativeanalysis, which confirmed the well-known relations between X-ray slopeand optical spectral properties (e.g. [Oiii]/Hβ ratio; Feiistrength, Hβ width). The various intercorrelations are most likelydriven, fundamentally, by the shape of the photoionizing continuum inSeyfert nuclei. We argue that a steep X-ray spectrum is a betterindicator of an `extreme' set of physical properties in Seyfert galaxiesthan is the narrowness of the optical Hβ line. The correlationstudies were also used to isolate a number of Seyfert galaxies withapparently `anomalous' properties. Of particular interest are the sixobjects with relatively weak permitted line emission (Hβ and Feii)and weak optical continua. Such objects are rare in most surveys, buttwo of these (IC 3599 and NGC 5905) are known to be transient activegalactic nuclei in which the X-ray flux has faded by factors ~100. Ifthe other four objects also turn out to be transient, this woulddemonstrate that 0.25keV surveys provide an efficient way of finding aninteresting class of object. Finally, the luminosity function of the0.25keV-selected Seyfert galaxies was determined and broken down intosubsamples to investigate the relative space densities of Seyferts whenseparated on the basis of either X-ray slope or Hβ linewidth. A sample of field early-type galaxies (E/S0) at intermediate redshift(z~0.1-0.6) is selected, based on morphology and colours from HST-WFPC2parallel images. Photometric structural parameters (effective radiusRe and effective surface brightness SBe) arederived through the F606W and F814W filters, using luminosity profilefitting and two-dimensional fitting techniques. The combined parameterthat enters the Fundamental Plane(logRe-βSBe, with β~0.32) is shown tosuffer from significantly smaller uncertainties (rms 0.03) than theindividual structural parameters (e.g. ~15 per cent rms on the effectiveradius). High signal-to-noise ratio, intermediate-resolution spectra,taken at the ESO 3.6-m telescope, yield redshifts for 35 galaxies andcentral velocity dispersions for 22 galaxies. Central velocitydispersions are derived using a library of stellar templates covering awide range of spectral types, in order to study the effects of templatemismatches. The average random error on the central velocity dispersionis found to be 8 per cent, and the average systematic error caused bytemplate mismatch is found to be 5 per cent. The errors in the velocitydispersion measurement and the effects of template mismatches arestudied by means of extensive Monte Carlo simulations. In addition, weinvestigate whether the determination of the velocity dispersion issensitive to the spectral range used, finding that the value of velocitydispersion is unchanged when the spectral regions that include theabsorption features Ca H and K and NaD are masked out during the fit. We investigate the Hipparcos Satellite photometry of G0-G9 stars. Mostare not particularly variable over the 3 year observing period, but maybe over a longer time. Stars for which further study is desirable areidentified. We present a summary of an identification program of the more than 2000X-ray sources detected during the ROSAT All-Sky Survey (Voges et al.1999) at high galactic latitude, |b| > 30degr , with countrate above0.2 s-1. This program, termed the ROSAT Bright Survey RBS, isto more than 99.5% complete. A sub-sample of 931 sources with countrateabove 0.2 s-1 in the hard spectral band between 0.5 and 2.0keV is to 100% identified. The total survey area comprises 20391deg2 at a flux limit of 2.4 x 10-12 ergcm-2 s-1 in the 0.5 - 2.0 keV band. About 1500sources of the complete sample could be identified by correlating theRBS with SIMBAD and the NED. The remaining ~ 500 sources were identifiedby low-resolution optical spectroscopy and CCD imaging utilizingtelescopes at La Silla, Calar Alto, Zelenchukskaya and Mauna Kea. Apartfrom completely untouched sources, catalogued clusters and galaxieswithout published redshift as well as catalogued galaxies with unusualhigh X-ray luminosity were included in the spectroscopic identificationprogram. Details of the observations with an on-line presentation of thefinding charts and the optical spectra will be published separately.Here we summarize our identifications in a table which contains opticaland X-ray information for each source. As a result we present the mostmassive complete sample of X-ray selected AGNs with a total of 669members and a well populated X-ray selected sample of 302 clusters ofgalaxies with redshifts up to 0.70. Three fields studied by us remainwithout optical counterpart (RBS0378, RBS1223, RBS1556). While the firstis a possible X-ray transient, the two latter are isolated neutron starcandidates (Motch et al. 1999, Schwope et al. 1999). The close visual double μ Velorum (HD 93497; G6 III+dF) consists of ayellow giant and a fainter companion currently 2" apart. Recently μVel was the source of a large flare recorded by the Extreme UltravioletExplorer. The long 1.5 day decay phase was like the extremes seen onhyperactive RS CVn-type binaries. The primary, μ Vel A is a 3Msolar star, in the ``rapid braking zone'' redward of G0 III.Yellow giants are not commonly reported as flare stars, perhaps becausethe first-crossers are relatively rare and not well represented in theobservational samples. The secondary star is classified G2 V, but the1700 Å energy distribution places it earlier on the main sequence,probably F4 or F5 V, in a class also not usually known for coronalvariability. The long duration of the μ Vel event suggests that itoccurred in a significantly elongated structure of moderate density,ne<~109 cm-3. If it was a magneticplasmoid, like a coronal mass ejection on the Sun, then such eventsmight play a role in shedding angular momentum from active evolvedstars. The associated spin-down could control the activity survival timeof red giants (in later stages of evolution than the first-crosser μVel) whose dynamos were rejunvenated by dredge-up of angular momentumfrom the interior, or more exotic sources, such as cannibalism ofclose-in substellar companions during the first or second ascent. We present a list of 534 objects detected jointly in the ExtremeUltraviolet Explorer (EUVE) 100 Angstroms all-sky survey and in theROSAT X-Ray Telescope 0.25 keV band. The joint selection criterionpermits use of a low count rate threshold in each survey. This lowthreshold is roughly 60% of the threshold used in the previous EUVEall-sky surveys, and 166 of the objects listed here are new EUV sources,appearing in neither the Second EUVE Source Catalog nor the ROSAT WideField Camera Second Catalog. The spatial distribution of this all-skycatalog shows three features: an enhanced concentration of objects inUrsa Major, where the Galactic integrated H I column reaches its globalminimum; an enhanced concentration in the third quadrant of the Galaxy(lII from 180 deg to 270 deg) including the Canis Major tunnel, whereparticularly low H I columns are found to distances beyond 200 pc; and aparticularly low number of faint objects in the direction of the fourthquadrant of the Galaxy, where nearby intervening H I columns areappreciable. Of particular interest is the composition of the 166detections not previously reported in any EUV catalog. We offerpreliminary identifications for 105 of these sources. By far the mostnumerous (81) of the identifications are late-type stars (F, G, K, M),while 18 are other stellar types, only five are white dwarfs (WDs), andnone are extragalactic. The paucity of WDs and extragalactic objects maybe explained by a strong horizon effect wherein interstellar absorptionstrongly limits the effective new-source search volume and, thereby,selectively favors low-luminosity nearby sources over more luminous butdistant objects. We have identified 24 active late-type giant stars, including 11 RS CVnsystems, with soft X-ray count rates high enough to allow the detectionof statistically significant variability on a Roentgen Satellite (ROSAT)orbital timescale (96 minutes) as observed by the Position SensitiveProportional Counter (PSPC) during the all-sky survey. Our sensitivitytypically lies in the range of 10% - 25%, depending on the source countrate. Comparison is made to the daily, nonflare solar soft X-rayvariability as observed by the Solrad satellites during solar minimum in1969 and solar maximum in 1975. Seven of the 24 stars show significantvariability; in two of these cases (HR 3922 and HR 8448) major flareswere observed in which the peak count rate is enhanced by at least afactor of 3 above quiescent. While HR 3922 (G5 III) is not (yet)classified as an RS CVn star, its flare is more energetic (3 x1031 ergs/s) than previously observed RS CVn flares. Theapparently single giant HR 8167 (G8 III) also shows two flares. Whileone might expect to find an anticorrelation between saturated coronaeand variability, we find no evidence of this: the two stars in oursample with the highest ratio of fx/fv both showvariability. We also point out that Capella (G6 III + F9 III) is one ofthe stars manifesting variability. An analysis is made of the probability of collective membership of thestars assigned by Eggen to the Wolf 630 moving group. This probabilityis estimated from the scatter of points in the color-absolute magnitudediagram when compared to the intrinsic scatter observed for M67.Particular attention is paid to the random errors for all the observedand deduced stellar parameters. Results show that either theobservational errors must be about 2.4 times larger than given in theproper motion and radial velocity source catalogues, or the intrinsicscatter in the color-magnitude diagram for the Wolf 630 group must bemuch larger than for M67, or many of the stars considered cannot bemembers. Luminosity functions in terms of bolometric magnitudes are constructedfor M67 and for two samples of old-disk field giants. These are comparedwith theoretical rates of evolution on the giant branch. M67 has too fewstars to give a useful comparison. The field giants show good agreementwith theory, and the number of stars at the 'clump' suggests that corehelium-burning is prolonged by overshoot with semiconvective mixing. Thefuel consumption derived from the luminosity functions is consistentwith core helium ignition at the theoretically predicted core mass, andwith a final core mass in agreement with observed white dwarf masses.Data are needed for a larger complete sample of field giants for theluminosity function to be better determined. Further details, especiallyfor the variable M giants at the top of the giant branch, are needed forpopulation syntheses of elliptical galaxies. DDO intermediate-band photometry of moving-group stars. 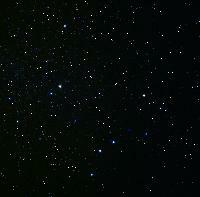 The barium and R type stars.